John Sowers, senior pastor and head of staff at First Presbyterian Church of Spokane, was elected to the Whitworth University Board of Trustees at the board's retreat in January. Sowers has been pastor at First Presbyterian Church of Spokane since 2007. Raised in Southern California, he first came to Spokane to attend Whitworth, graduating with a bachelor's degree in history in 1988. After graduating, Sowers stayed and worked in Whitworth's admissions department before becoming the school's director of church relations. 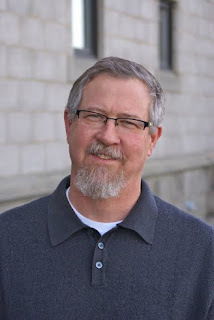 He went on to attend Austin Presbyterian Theological Seminary, and after graduating in 1996 he began ministry at Woodland Presbyterian Church, in Memphis, Tenn.
Sowers and his wife, Jennifer, have two daughters, Emilie and Kathleen, the latter of whom is a senior at Whitworth. "Whitworth University has a great history of being well-served by its trustees, who care deeply about our current and future students, who support our faculty and academic programs, and who protect the university's distinctive mission to prepare graduates to honor God, follow Christ and serve humanity," says Whitworth President Beck A. Taylor. "John Sowers will step easily into the long line of people who have carried this important responsibility. John is not only a proud Whitworth alumnus and pastor to one of the area's largest Presbyterian churches, he also has trusted the university with his daughter's education, so he’s seen the university from multiple angles, and I'm confident that those perspectives will serve him and the university very well. I am very thankful to John for taking on this important role."